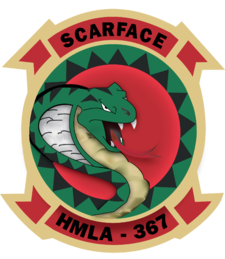 Unit: Marine Light Attack Helicopter Squadron 367, Marine Aircraft Group 24, 1st Marine Aircraft Wing at Marine Corps Base Hawaii. Wechsler, PFC Tyler Ethan, - 21, of Egg Harbor Township, NJ, passed away Tuesday, April 18, 2017. Tyler was born July 9, 1995 in Camden, NJ. Tyler was a 2013 graduate of Egg Harbor Township High School. He was active with the Egg Harbor Township Street Hockey Association and Mixed Martial Arts in the area having participated in many MMA tournaments. He is survived by his Parents: Paul and Sandra (Garvey) Wechsler; brother: Zach Wechsler; maternal grandparents, Ronald and Bobbie Garvey; Paternal Grandmother, Marlene (Lou Capetola) Wechsler; Aunts, Debbie (Mark) Young, Diane (Keith) Truskin, Uncles, Sean (Christine) Garvey, Eric (Tram) Sprague, Stewart (Carolyn) Wechsler, Cousins, Bryce, Chase and Madison Young, McKenna and Gianna Garvey, Laura Culp and Megan Crucet, Brett Truskin and Erika (Matt) Knox, Kyle Sprague, Close Friends, Bev (Jeff) Flick, Linda Alexander. Predeceased by his paternal grandfather, Arnold Wechsler. Full Military Honors will offered Sunday, April 30, 2017 in the Atlantic County Veterans Cemetery, 109 Route 50, Estell Manor, NJ where friends and family may greet the family from 9 until 10:45. In lieu of flowers send memorial contributions to the EHT Street Hockey Association, 108 Ruby Drive, Egg Harbor Township, NJ 08234. Condolences for the family may be left at www.godfreyfuneralhome.com. Arrangements are under the direction of The Godfrey Funeral Home of Egg Harbor Township.